Action will be taken against 10 members of Myanmar’s security forces in connection with the killing of captured Rohingya Muslims in Rakhine state, a government spokesman said on Sunday (Feb 11), adding it was not related to a Reuters report on the incident. Reuters on Friday published a report laying out events that led up to the killing of 10 Rohingya men in the northern Rakhine village of Inn Din who were buried in a mass grave after being hacked to death or shot by Buddhist neighbours and soldiers. A Myanmar government spokesman, Zaw Htay, said that “action according to the law” would be taken against seven soldiers, three members of the police force and six villagers as part of an army investigation that was initiated before the Reuters report was published. The arrests were “not because of Reuters news. 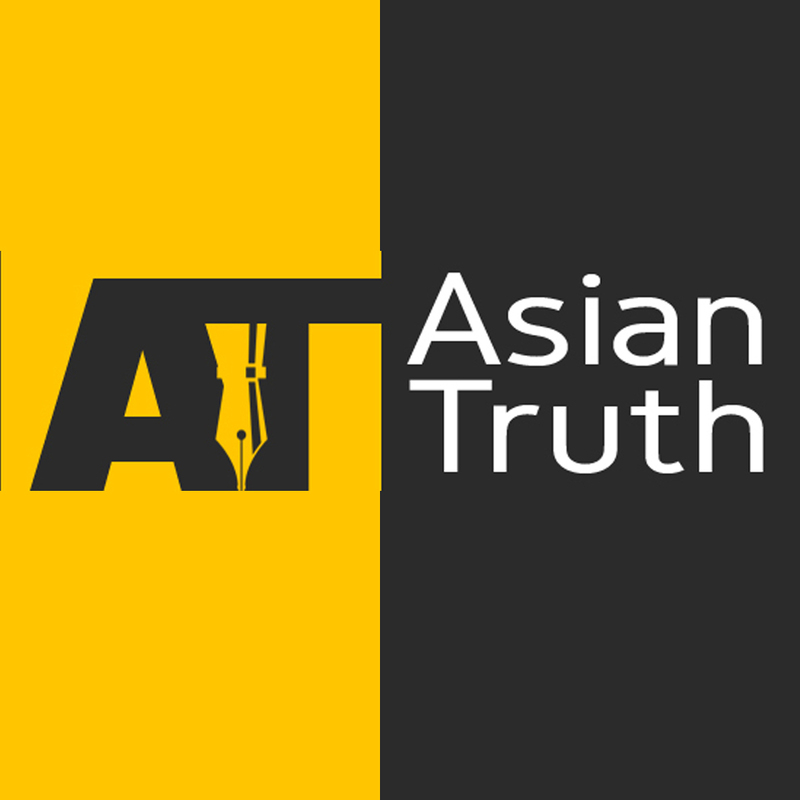 The investigation was being conducted even before Reuters news,” Zaw Htay said, adding that he was unable to specify what action would be taken against the 16 people. On Jan 10, the military said the 10 Rohingya men belonged to a group of 200 “terrorists” who had attacked security forces. Buddhist villagers attacked some of them with swords and soldiers shot the others dead, the military said, adding that it would take action against those involved. The military’s version of events is contradicted by accounts given to Reuters by Rakhine Buddhist and Rohingya Muslim witnesses. Buddhist villagers reported no attack by a large number of insurgents on security forces in Inn Din. And Rohingya witnesses told Reuters that soldiers plucked the 10 from among hundreds of men, women and children who had sought safety on a nearby beach. 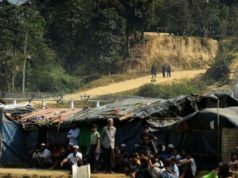 Nearly 690,000 Rohingya have fled Rakhine state and crossed into southern Bangladesh since August, when attacks on security posts by insurgents triggered a military crackdown that the United Nations has said may amount to genocide. 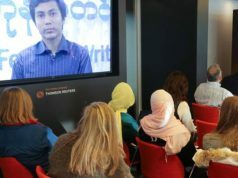 The Reuters investigation of the Inn Din massacre was what prompted the arrest of two of the news agency’s reporters. Myanmar citizens Wa Lone and Kyaw Soe Oo were detained on Dec 12 for allegedly obtaining confidential documents. The police has said two police officers were also arrested. Prosecutors are seeking to charge Wa Lone and Kyaw Soe Oo under Myanmar’s Official Secrets Act, which dates back to the time of colonial British rule and carries a maximum 14-year prison sentence. If there was “strong and reliable primary evidence” of abuses, the government would investigate, he said. There has been no official comment from the government following the publication of the report. Britain’s foreign minister, Boris Johnson, said he would raise the case of the two journalists during a meeting with the country’s de facto leader, Aung San Suu Kyi, on Sunday. He told Reuters in a Rohingya refugee camp in Bangladesh on Saturday that the violence in northern Rakhine clearly amounted to ethnic cleansing but observers and monitors should be allowed into the area to establish evidence. 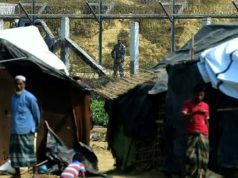 The United States and the United Nations have called the military campaign against the Rohingya “ethnic cleansing”. Myanmar denies ethnic cleansing, and says its security forces mounted legitimate counter-insurgency clearance operations.